The fate of head coach Herman Edwards and his staff remained uncertain after the end of the 2008 season in which the Chiefs finished with a franchise-worst 2–14 record. The team was 6–26 in the past two years under Edwards, who had one year left on a four-year, $12 million contract and was lobbying to be allowed another year to get his rebuilding movement off the ground. Team owner Clark Hunt voiced his support of Edwards, but he had also said the new general manager Scott Pioli would have "significant input" into the decision on whether to retain him. On January 23, the Chiefs fired Edwards, and on February 5, Todd Haley was hired as the 11th head coach in Chiefs franchise history and signed a four-year contract. For the 2009 season under the Pioli/Haley regime, the Chiefs switched from a 4–3 defense to a 3–4 defensive strategy. Although finishing the regular season last in the AFC West with a record of 4–12, the Chiefs doubled their win record from the previous season. † These three games were among the 16 that the NFL designated as "AFL Legacy Games", in honor of the 50th anniversary of the AFL. The Chiefs (formerly the Dallas Texans) wore their throwback uniforms during those three games, as did the Cowboys, Chargers and Raiders. In select games, the Chiefs, as well as the other founding teams of the American Football League, will wear "throwback" uniforms to celebrate the AFL's 50th anniversary and the 1962 Dallas Texans team that won the AFL Championship. The Chiefs "throwback" look will feature helmets with gray facemasks and a Texas-shaped decal with a gold star showing the location of the city of Dallas, Texas. From 1960 to 1962, the team was known as the Dallas Texans and played at the Cotton Bowl alongside the NFL's Dallas Cowboys. Jerseys for the club’s "throwback" games will include a patch that honors the AFL’s 50th anniversary. Kansas City will wear these replica uniforms when they host the Dallas Cowboys at Arrowhead Stadium and against two AFC West opponents yet to be determined (one home date and one away date). The team's decision to wear the Texans' helmets started a controversy with some Chiefs fans who believed the team needed to honor the franchise's years in Kansas City, not Dallas. A petition by Sports Radio 810 WHB in Kansas City states that "the Chiefs have a responsibility to help promote the state and region that have supported them financially through stadium taxes, ticket sales, parking fees, concessions and merchandise sales for 47 years." Scott Pioli was hired on January 13. With his proven track record of success, Scott is the finest player personnel executive in the NFL, and we look forward to his leadership in building a championship organization. — Clark Hunt on hiring Scott Pioli as general manager. Following the resignation of Carl Peterson, the Chiefs' general manager, chief executive officer, and team president, a search for the team's new general manager began. Chiefs owner Clark Hunt said he intended to split the three jobs that Peterson held for nearly 20 years, looking for "a shrewd evaluator of football talent" at the general manager's position. Possible candidates included former Chiefs head coach Marty Schottenheimer, Indianapolis Colts vice president of football operations Chris Polian, Tampa Bay Buccaneers director of pro personnel Mark Dominik, former Denver Broncos general manager Ted Sundquist, former Tennessee Titans general manager Floyd Reese, San Diego Chargers director of player personnel Jimmy Raye III, Baltimore Ravens director of college scouting Eric DeCosta, and New England Patriots vice president of football operations Scott Pioli. Hunt said he would hire a new person to overlook football operations and a second person to be in charge of the team's business operations. That job, team president, was given to longtime team executive vice president Denny Thum. Pioli reportedly sought "total control" of an organization and was also pursued by the Cleveland Browns to be their new general manager. Pioli's supposed intentions of "total control" could have possibly eliminated him from the Chiefs' job. Hunt had kept his search almost entirely leak-proof, instructing subordinates that only he is to speak to the situation. Hunt also intended to be thorough and patient in his search for the Chiefs' new general manager. Pioli was reportedly the Chiefs' number one candidate and on January 13 the Chiefs hired Pioli as general manager. The official statement from the Chiefs said that Pioli would "have final say over all football operations and report directly to (Clark) Hunt." The Chiefs introduced Pioli the following day at team headquarters in Kansas City. The decision to hire Scott Pioli as general manager likely meant that head coach Herman Edwards would not return for a fourth season as Chiefs head coach. The Kansas City Star reported that according to two coaches, Edwards and his staff could have been dismissed as soon as Wednesday, January 14, the day when Pioli was introduced in Kansas City. At his press conference, Pioli did not rule out Edwards being retained as the team's head coach. Hunt said publicly that he wanted Edwards to return in 2009, but Pioli would have "significant input" in the final decision. Several candidates were mentioned as possible replacements for Edwards even before he had been fired. The most notable names mentioned were Todd Haley, the offensive coordinator of the 2008 NFC Champion Arizona Cardinals, New York Giants defensive coordinator Steve Spagnuolo, and Mike Shanahan, the former head coach of the Chiefs' rival Raiders and Broncos franchises. Other possible candidates included Jon Gruden, Leslie Frazier, Winston Moss, Kirk Ferentz, Jason Garrett, and even Scott Pioli's father-in-law, Bill Parcells. Edwards was fired on January 23, and ESPN's Chris Mortensen reported later that evening that the Chiefs were targeting Mike Shanahan to become the next head coach. Mortensen initially reported that the Chiefs were negotiating on a contract with Shanahan. The report was later denied by Shanahan himself. After a long period in which Haley was considered the front-runner for the head coaching position, there was concern as to whether the Chiefs would violate the Rooney Rule by immediately hiring Haley. The Rooney Rule, named after Pittsburgh Steelers owner Dan Rooney, specifies that NFL teams must give fair interviews to minority candidates whenever a head coaching position comes open. Some minority coaches were reportedly turning down offers from the Chiefs since Haley was the presumed target for the coaching vacancy. The Chiefs negotiated with Haley following the Cardinals' loss in Super Bowl XLIII, and Haley accepted the coaching position on February 5. Haley was introduced as head coach the following day. Defensive coordinator Gunther Cunningham was hired by the Detroit Lions for the same position. Cunningham had been the defensive coordinator for the Chiefs from 1995 to 1998 and 2004 to 2008. He also served as the team's head coach from 1999 to 2000. The Chiefs also lost secondary coach David Gibbs to the Houston Texans and Mike Priefer to the Denver Broncos. Once Todd Haley was hired, the Chiefs fired tight ends coach Jon Embree, defensive assistant/assistant linebacker coach Michael Ketchum, running backs coach Curtis Modkins, offensive assistant/quality control coach Kevin Patullo, and wide receivers coach Eric Price. For Haley's new coaching staff, the Chiefs hired Joel Collier, Gary Gibbs (linebackers), Steve Hoffman (special teams), Bill Muir (offensive line), Clancy Pendergast (defensive coordinator), Pat Perles, Dedric Ward (wide receivers), Ronnie Bradford (defensive assistant), Nick Sirianni (offensive quality control coach), and Maurice Carthon (assistant head coach). 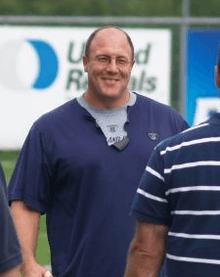 From Herman Edwards' staff, Chan Gailey was retained as offensive coordinator, and Bob Bicknell switched from offensive line to tight ends coach, and Joe D'Alessandris was retained as assistant offensive line coach. The Chiefs also relieved duties of several scouts and player personnel assistants once the 2009 NFL Draft concluded. Initially there were doubts as to whether Chan Gailey would be retained under Todd Haley's coaching staff, as Haley had just concluded a successful stint as offensive coordinator at Arizona. After the Chiefs lost their first three preseason games, Gailey was relieved of duties and Haley was expected to assume offensive play-calling duties. Immediately following the Chiefs' 2008 season finale loss to the Cincinnati Bengals, RB Larry Johnson voiced his intention to seek a trade in the offseason. Johnson was involved in legal troubles in 2008 and his production on the field declined. As a result of his legal troubles, in March 2009 Johnson pleaded guilty to the two incidents that occurred in 2008 and was sentenced to two years probation. Johnson served suspensions from the NFL in 2008 and is not expected to receive further punishment from the charges. OL Brian Waters had issues with Todd Haley shortly after Haley's hiring, saying the coach had been disrespectful of him during a meeting, then that new general manager Scott Pioli refused to meet with him privately. Waters later told the Kansas City Star that he wanted to be traded and did not attend any of the team's voluntary offseason workouts. Newly acquired LB Mike Vrabel also did not attend offseason workouts citing his rights with the league's collective bargaining agreement. TE Tony Gonzalez reiterated his intentions for a trade in March 2009 after a failed attempt in October 2008. He was eventually traded in April to the Atlanta Falcons. Gonzalez lobbied for the Chiefs to keep Tyler Thigpen as the team's starting quarterback when Gonzalez was still with the team and when Matt Cassel was not yet on the Chiefs roster. Though he appeared to be the Chiefs' lone quarterback who would remain in their plans for 2009, especially after Damon Huard was released Thigpen was not considered a lock for the starting job. Thigpen competed with Matt Cassel for the starting quarterback position. After several trade attempts in the previous year, Tony Gonzalez was traded to Atlanta in April. 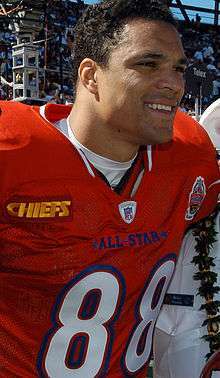 In February, the Chiefs released LB Donnie Edwards, QB Damon Huard, TE Michael Merritt, and CB Patrick Surtain. In March, QB Quinn Gray was released. and in April WR Will Franklin, OT Andrew Carnahan, LB Curtis Gatewood, and WR Kevin Robinson were released. On April 23 the Chiefs traded TE Tony Gonzalez to the Atlanta Falcons in exchange for a second round draft pick in the 2010 NFL Draft. In 2008 Gonzalez asked Chiefs management for a trade but negotiations failed and new general manager Scott Pioli reitereated that Gonzalez was initially not offered in trades for the 2009 season but agreed when the Falcons offered a second-round pick. Gonzalez had sought a trade in the 2008 season but several attempts failed. At the conclusion of the preseason, the Chiefs released 13 players to reach the 53-player limit. Permanently released were S Bernard Pollard, WR Ashley Lelie, WR Taurus Johnson, DT Derek Lokey, S Ricky Price, and LB Zach Thomas. CB Jackie Bates, TE Tom Crabtree, DE Dion Gales, DE Bobby Greenwood, G Darryl Harris, RB Javarris Williams and WR Rodney Wright were added to the practice squad. After the first regular season game, the Chiefs waived LB Turk McBride. After the third game, the Chiefs traded QB Tyler Thigpen to the Miami Dolphins for an undisclosed draft pick. Despite having several needs to be addressed and nearly $35 million in salary cap room, the Chiefs were criticized for being "quiet" in free-agency after the Cassel/Vrabel trade, primarily adding back-up players for depth. In March, the Chiefs signed LB Darrell Robertson, WR C. J. Jones, CB Travis Daniels, LB Corey Mays, WR Bobby Engram, LB Monty Beisel, WR Terrance Copper. and OL Mike Goff. In April, the Chiefs signed WR Rodney Wright, LS Tanner Purdum, LB Zach Thomas, TE Sean Ryan, TE Tony Curtis, and C Eric Ghiaciuc. In June, the Chiefs signed FS Mike Brown. In August, the Chiefs signed WR Amani Toomer but he was later released at the end of the pre-season. In September, the Chiefs signed WR Bobby Wade. In November, the Chiefs signed WR Chris Chambers. Matt Cassel was acquired in February. On the first day of free agency (February 27), the Chiefs acquired LB Mike Vrabel from the Patriots for an undisclosed draft pick. The Boston Globe speculated that it would be part of a bigger trade involving QB Matt Cassel. The next day, the Chiefs confirmed the acquisition of both Vrabel and Cassel from New England in exchange for their second round draft selection in the 2009 NFL Draft (#34 overall). Reactions to the trade were mixed and it was called "monumentally lopsided" with the Chiefs "clearly (getting) the better end of the deal." Don Banks of Sports Illustrated called the Chiefs the "big winners" of the first weekend of NFL free agency and the Patriots' compensation "laughably low," but the best they could get in return. The trade was done mainly because the Patriots could not keep two quarterbacks on their roster that took up $29.2 million of salary cap space, so it was not a matter of if the Patriots would trade Cassel, but when. 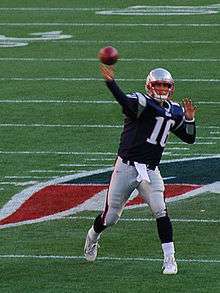 The Patriots also had Tom Brady under contract, who was recovering from a knee-injury suffered in a 2008 game against the Chiefs. On July 15 the Chiefs signed Cassel to six-year contract extension worth a total of $63 million. The Chiefs selected third overall in the 2009 NFL Draft. After selecting a league-high 13 players in the 2008 Draft, the Chiefs were scheduled to make their standard seven selections pending trades prior to trading away their second round draft pick to New England for Matt Cassel and Mike Vrabel, leaving them with just six choices. The Chiefs were later awarded the 256th and final selection in the 2009 NFL Draft, making them effectively choose "Mr. Irrelevant." The player chosen was K Ryan Succop, who was the Chiefs' first "Mr. Irrelevant" since the 1970 NFL Draft when DB Rayford Jenkins was chosen by the team from Alcorn A&M. The Chiefs selected defensive end Tyson Jackson third overall. Jackson was the third consecutive first round pick by the Chiefs to have played collegiately for the LSU Tigers. All terms of the contracts for the 2009 draft picks were undisclosed, but ESPN reported that Jackson signed a five-year contract worth $57 million, with $31 million guaranteed. a (Draft day trade) Obtained Carolina's seventh round selection (#237) via the Miami Dolphins. In exchange, the Dolphins received the Chiefs' 2010 seventh round selection. The Chiefs conducted training camp at the University of Wisconsin–River Falls for the 19th and final consecutive year. The team will move training camp to St. Joseph, Missouri in 2010. They lost all four games in the preseason to the Houston Texans, Minnesota Vikings, Seattle Seahawks, and St. Louis Rams (for the Missouri Governor's Cup). In the Chiefs' game against the Seahawks, QB Matt Cassel suffered a sprained Medial collateral ligament (MCL), leaving his status as starting quarterback for opening day in doubt. The offense for the Chiefs struggled in all four games, scoring only 42 points in four games and the offensive line suffered numerous breakdowns which led to Cassel's injury. The offensive struggles led to offensive coordinator Chan Gailey's firing and head coach Todd Haley assuming playcalling duties. The Chiefs began their season at M&T Bank Stadium against the Baltimore Ravens. Due to his injured knee, quarterback Matt Cassel was unable to play, so Brodie Croyle got the start. Despite completing 16-of-24 passes for 177 yards and two touchdowns, the Chiefs lost to the Ravens 38–24, and Croyle fell to 0–9 as a starter. Kansas City trailed in the first quarter as Ravens kicker Steven Hauschka got a 44-yard field goal, followed by quarterback Joe Flacco completing a 3-yard touchdown pass to running back Willis McGahee. In the second quarter, the Chiefs got on the board as safety Jon McGraw recovered a blocked punt in the end zone for a touchdown. In the third quarter, Kansas City took the lead as Croyle completed a 2-yard touchdown pass to wide receiver Dwayne Bowe, yet Baltimore answered with Flacco completing a 9-yard touchdown pass to tight end Todd Heap. What followed was a back-and-forth battle in the fourth quarter. Chiefs kicker Ryan Succop got a 53-yard field goal, but the Ravens replied with fullback Le'Ron McClain getting a 1-yard touchdown run. Kansas City would stay close as Croyle completed a 10-yard touchdown pass to tight end Sean Ryan, but Baltimore would pull away as Flacco completed a 31-yard touchdown pass to wide receiver Mark Clayton and McGahee getting a 1-yard touchdown run. With the loss, the Chiefs began their season at 0–1. Hoping to rebound from their tough road loss to the Ravens, the Chiefs played their Week 2 home opener against their AFC West foe, the Oakland Raiders. Kansas City would score in the first quarter as rookie kicker Ryan Succop got a 23-yard field goal. In the second quarter, the Raiders tied the game as kicker Sebastian Janikowski made a 48-yard field goal. Oakland would take the lead in the third quarter as Janikowski nailed a 54-yard field goal. In the fourth quarter, the Chiefs would retake the lead as quarterback Matt Cassel completed a 29-yard touchdown pass to wide receiver Dwayne Bowe. However, the Raiders sealed the win as running back Darren McFadden got a 5-yard touchdown run. With the loss, Kansas City fell to 0–2. Still searching for their first win of the season, the Chiefs flew to Lincoln Financial Field for a Week 3 interconference duel with the Philadelphia Eagles. Kansas City would trail early in the first quarter as Eagles running back LeSean McCoy got a 5-yard touchdown run and quarterback Kevin Kolb got a 1-yard touchdown run. The Chiefs would get on the board with quarterback Matt Cassel's 13-yard touchdown pass to wide receiver Mark Bradley, but Philadelphia came right back with Kolb's 64-yard touchdown pass to wide receiver DeSean Jackson and kicker David Akers' 29-yard field goal. Kansas City's deficit would increase as Akers nailed a 38-yard field goal in the third quarter. In the fourth quarter, the Eagles would put the game away with Kolb's 35-yard touchdown pass to tight end Brent Celek. Afterwards, the Chiefs would end the game with Cassel's 9-yard touchdown pass to wide receiver Bobby Wade. With the loss, Kansas City fell to 0–3. After a brutal road loss to the Eagles, the Chiefs went home for a Week 4 interconference duel with the New York Giants. Kansas City would trail in the first quarter with quarterback Eli Manning completing a 3-yard touchdown pass to wide receiver Steve Smith. Afterwards, the Chiefs would get on the board with rookie kicker Ryan Succop's 34-yard field goal. In the second quarter, New York would answer with Manning hooking up with Smith again on a 25-yard touchdown pass. Then, the Giants would close out the half with former Chiefs kicker Lawrence Tynes making a 25-yard field goal. After Tynes' 40-yard field goal in the third quarter, New York would finish their scoring in the fourth quarter with quarterback Eli Manning's 54-yard touchdown pass to wide receiver Hakeem Nicks. Kansas City tried to rally with quarterback Matt Cassel completing a 1-yard touchdown pass to tight end Sean Ryan (followed by a failed 2-point conversion) and a 2-yard touchdown pass to wide receiver Bobby Wade. With the loss, the Chiefs fell to 0–4. Still looking to acquire their first win of the year, the Chiefs stayed at home, donned their Dallas Texans throwbacks, and played a Week 5 interconference duel with the Dallas Cowboys. After a scoreless first quarter, Kansas City got out of the gates in the second quarter as kicker Ryan Succop made a 47-yard field goal and quarterback Matt Cassel completed a 1-yard touchdown pass to linebacker Mike Vrabel. Afterwards, the Cowboys closed out the opening half with a 22-yard field goal from kicker Nick Folk. The Chiefs went back to work in the third quarter with Succop booting a 38-yard field goal, yet Dallas began to rally with a 36-yard touchdown run from running back Tashard Choice. Dallas would take the lead in the fourth quarter as Folk nailed a 28-yard field goal and quarterback Tony Romo found wide receiver Miles Austin on a 59-yard touchdown pass, yet Kansas City would tie the game as Cassel hooked up with wide receiver Dwayne Bowe on a 16-yard touchdown pass. However, the Cowboys won it in overtime as Romo threw the game-ending 60-yard touchdown pass to Austin. With the tough loss, the Chiefs fell to 0–5. Following a tough overtime loss to the Cowboys, the Chiefs flew to Fed Ex Field for a Week 6 interconference duel with the Washington Redskins. After a scoreless first quarter, Chiefs kicker Ryan Succop booted a 39-yard field goal for the only score of the half. In the third quarter, the Redskins took the lead with a 40-yard and a 28-yard field goal from kicker Shaun Suisham, but Kansas City tied it up with Succop's 46-yard field goal. In the fourth quarter, Succop gave the Chiefs the lead with a 46-yard and a 24-yard field, but it was the defense that closed the game out for Kansas City, as DE/OLB Tamba Hali sacked quarterback Todd Collins in his own end zone for a safety with under a minute to play. With the win, the Chiefs improved to 1–5. Coming off their road win over the Redskins, the Chiefs went home, donned their Dallas Texans throwbacks, and played a Week 7 AFL Legacy game with the San Diego Chargers. Kansas City would find themselves trailing in the first quarter as Chargers quarterback Philip Rivers completed a 3-yard touchdown pass to wide receiver Malcom Floyd, followed by a 10-yard touchdown pass to wide receiver Vincent Jackson. San Diego would add onto their lead in the second quarter with a 20-yard and a 39-yard field goal from kicker Nate Kaeding. The Chiefs would get onto the board in the third quarter with quarterback Matt Cassel completing a 7-yard touchdown pass to wide receiver Dwayne Bowe, but the Chargers kept their momentum going with Rivers finding running back Darren Sproles on a 58-yard touchdown pass. In the fourth quarter, San Diego sealed the win with Kaeding's 19-yard field goal and fullback Jacob Hester recovering a blocked punt in the end zone for a touchdown. With the loss, Kansas City went into their bye week at 1–6. Larry Johnson was suspended for two weeks after he made offensive comments about Todd Haley and made offensive comments about homosexuals on Twitter and in public. After their bye week, the Chiefs flew to Jacksonville Municipal Stadium for an Intraconference Duel with the Jaguars. While the Chiefs got on the board first with Ryan Succop nailing a 45-yard goal, they fell behind when Rashad Jennings ran from the 28-yard line to the end zone for a touchdown. In the second quarter Ryan Succop made a 21-yard field goal, and then the Jaguars scored when David Garrard completed a 61-yard touchdown pass to Mike Sims-Walker. The only score in the third quarter was when Josh Scobee hit a 27-yard field goal. In the fourth quarter the Chiefs fell further behind when Maurice Jones-Drew got a 10-yard touchdown run. The Chiefs tried to come back with Matt Cassel completing a 54-yard and a 5-yard touchdown pass to Chris Chambers (Second time round the two-point conversion was made when Matt Cassel passed to Jamaal Charles) but couldn't go any further thanks to the Jaguars' defense resulting in a loss. With the loss, the Chiefs fell to 1–7. Trying to snap a two-game losing streak, the Chiefs flew to the Oakland-Alameda County Coliseum, donned their Dallas Texans throwbacks, and played a Week 10 AFC Legacy game with perennial rival, the Oakland Raiders. Kansas City would trail in the first quarter as Raiders running back Justin Fargas got a 1-yard touchdown run. The Chiefs would get on the board with rookie kicker Ryan Succop getting a 50-yard field goal, but Oakland would strike back as kicker Sebastian Janikowski got a 50-yard field goal. Kansas City would take the lead in the second quarter with a 44-yard touchdown run from running back Jamaal Charles, followed by Succop nailing a 25-yard field goal. After a scoreless third quarter, Succop would come through for the Chiefs in the fourth quarter with a 31-yard field goal. With the win, Kansas City improved to 2–7. The Chiefs returned home to host the Steelers in an attempt to create the biggest upset of the week and get their first back-to-back wins since 2007. Optimism grew quickly as Jamaal Charles ran the opening kick 97 yards for a touchdown, starting the game with a 7–0 Chiefs lead. The Steelers dominated the rest of the first half with 20:45 time of possession, going into halftime with a 17–7 lead. The Chiefs' defense began to pressure Ben Rothlisberger in the third quarter, forcing two interceptions (both by Andy Studebaker in his first NFL start). By the fourth quarter, the Chiefs tied the game up at 17–17. The fourth quarter resulted in a touchdown each, sending the game into overtime. The Steelers won the toss in overtime, but failed to get within field goal range. Of note, Rothlisberger suffered a knee to the head concussion and was replaced by Charlie Batch. The Chiefs took over at the 20 and, after a 61-yard catch and run by Chris Chambers, Ryan Succop kicked the winning 22-yard field goal. With the win, the Chiefs improved to 3–7 and snapped a 10-game home losing streak, the longest in team history. Coming off their win against the Steelers, the Chiefs went on the road for an AFC West rivalry match against the San Diego Chargers. In the first quarter the Chiefs trailed early as QB Philip Rivers got a 19-yard touchdown pass to TE Antonio Gates. The Chiefs would reply to tie the game with QB Matt Cassel making a 7-yard touchdown pass to WR Chris Chambers, until they fell back again with RB LaDainian Tomlinson getting a 1-yard touchdown run, then Rivers hooking up with Gates again on a 15-yard touchdown pass, then DB Paul Oliver returned a fumble 40 yards for a touchdown. In the third quarter the Chiefs' struggle continued as RB LaDainian Tomlinson got a 3-yard touchdown run. They tried to come back with RB Jamaal Charles getting a 2-yard touchdown run, but the Chargers would pull away with kicker Nate Kaeding making a 55-yard field goal. In the fourth quarter the problem got worse when a penalty on Matt Cassel was enforced in the end zone for a safety, giving the Chargers 2 points. The final score was made when Kaeding booted a 23-yard field goal. With the loss, the Chiefs fell to 3–8. The Chiefs defense began the game by demonstrating how unpredictable they have been all season. After giving up three plays of 10 yards or more, Mike Brown intercepted what would likely have been a touchdown pass, giving the Chiefs offense a chance to take the field. After a short run and two incomplete passes, the Chiefs punted back to Denver. The Chiefs defense nearly forced the Broncos to a three-and-out, but the drive was kept going by a Ron Edwards face mask call. The end result was a Kyle Orton to Daniel Graham touchdown pass. The Chiefs offense responded by putting together a relatively long series that began at the KC 31 and lasted 20 plays, ending in a 22 yard Ryan Succop field goal. After a couple possession changes, the Broncos answered with a series that included three Correll Buckhalter rushes for over 10 yards, ending in a Knowshon Moreno rushing touchdown. The Chiefs would respond before the half with another field goal. The second began with the Chiefs failing to convert on fourth down and the Broncos scoring on each of their first three possessions. Before the end of the quarter, Matt Cassel was replaced by Brodie Croyle. After the Chiefs lost a Jamal Charles fumble for a touchdown, they recovered a Kyle Orton fumble and eventually turned it into a Jamal Charles rushing touchdown. The Broncos immediately responded with yet another touchdown. With the loss, the Chiefs fall to 3–9. With the loss, the Chiefs fell to 3–10. The game was the first home blackout for the Chiefs since 1990. With the loss, the Chiefs fell to 3–11. With the loss, the Chiefs fell to 3–12. With the win, the Chiefs finished their season at 4–12. Also, it was 1 of 3 games to help the Steelers get into the playoffs. However, the Ravens beat the Raiders and the Jets beat the Bengals that same week. 1 2 3 4 5 6 7 8 9 "Scott Pioli to join Kansas City Chiefs". ESPN.com. January 13, 2009. Archived from the original on January 20, 2009. Retrieved January 13, 2009. 1 2 "Lions to pick first, 20th in first round". ESPN.com. December 29, 2008. Archived from the original on January 16, 2009. Retrieved January 9, 2009. ↑ "Derrick Thomas elected to the Pro Football Hall of Fame's Class of 2009". Kansas City Chiefs. January 31, 2009. Archived from the original on February 3, 2009. Retrieved February 6, 2009. ↑ "LB Derrick Thomas had his #58 retired, family received HOF ring at Arrowhead vs. Denver on December 8th". Kansas City Chiefs. June 23, 2009. Archived from the original on June 28, 2009. Retrieved June 23, 2009. 1 2 3 4 5 6 7 Associated Press (January 5, 2009). "Chiefs talking with Pioli about GM vacancy". SI.com. Retrieved January 5, 2009. 1 2 3 "Chiefs fire Edwards; Shanahan next?". ESPN.com. January 23, 2009. Archived from the original on January 30, 2009. Retrieved January 23, 2009. 1 2 "Herm Edwards relieved of duties as Chiefs head coach". Kansas City Chiefs. January 23, 2009. Archived from the original on February 1, 2009. Retrieved January 23, 2009. 1 2 3 Glazer, Jay (February 5, 2009). "Source: Cards assistant tabbed to coach Chiefs". Fox Sports. Archived from the original on February 7, 2009. Retrieved February 6, 2009. 1 2 "Todd Haley named Kansas City Chiefs head coach". Kansas City Chiefs. February 6, 2009. Archived from the original on February 10, 2009. Retrieved February 6, 2009. ↑ Associated Press (February 6, 2009). "Chiefs hire Cardinals offensive coordinator Haley as coach". Archived from the original on February 7, 2009. Retrieved February 6, 2009. 1 2 3 Associated Press (April 13, 2009). "Kansas City signs unrestricted free agent LB Zach Thomas". Kansas City Chiefs. Archived from the original on April 16, 2009. Retrieved April 20, 2009. 1 2 3 4 "Chiefs to unveil "throwback" AFL uniforms in 2009". Kansas City Chiefs. March 24, 2009. Archived from the original on March 27, 2009. Retrieved March 24, 2009. ↑ Gretz, Bob (March 27, 2009). "Honoring history crosses all borders". Kansas City Chiefs. Archived from the original on May 2, 2009. Retrieved March 27, 2009. ↑ Sports Radio 810 WHB. "Kansas City Chiefs Uniform Petition". Archived from the original on March 28, 2009. Retrieved March 27, 2009. 1 2 3 "Chairman of the Board Clark Hunt Press Conference on the resignation of Carl Peterson". Kansas City Chiefs. December 15, 2008. Archived from the original on December 18, 2008. Retrieved December 15, 2008. ↑ Associated Press (December 15, 2008). "Chiefs' Carl Peterson resigns; Edwards' future uncertain". USA Today. Retrieved December 15, 2008. 1 2 3 4 Schefter, Adam. "Few leaks in Chiefs' GM search". NFL.com. Retrieved January 11, 2009. ↑ Glazer, Jay (December 28, 2008). "Sunday Scoops: Glazer's latest coaching update". Fox Sports. Retrieved January 25, 2009. 1 2 3 4 Schefter, Adam. "Next Chiefs' GM expected to bring in his own coach". NFL.com. Archived from the original on January 6, 2009. Retrieved January 5, 2009. 1 2 3 Schefter, Adam. "Three strong candidates for Chiefs' GM job". NFL.com. Retrieved January 5, 2009. ↑ "A dozen Super Bowl matchups to root for". SI.com. January 2, 2009. Retrieved January 2, 2009. 1 2 3 4 "Report: Browns want Pioli decision soon". ESPN.com. January 1, 2009. Retrieved January 1, 2009. 1 2 3 "Scott Pioli named Kansas City Chiefs general manager". Kansas City Chiefs. January 13, 2009. Archived from the original on January 18, 2009. Retrieved January 14, 2009. 1 2 "Clark Hunt introduces General Manager Scott Pioli". January 14, 2009. Archived from the original on January 18, 2009. Retrieved January 15, 2009. ↑ Harry, Jack (January 21, 2009). "Mike Shanahan could be next Chiefs head coach". NBC Action News, Kansas City. Archived from the original on January 26, 2009. Retrieved January 22, 2009. ↑ Florio, Mike (January 21, 2009). "Herm out, Shanahan In?". Pro Football Talk. Archived from the original on January 25, 2009. Retrieved January 22, 2009. 1 2 3 4 5 6 7 Sports Xchange (January 24, 2009). "Kansas city Chiefs Inside Slant". Fox Sports. Retrieved January 25, 2009. ↑ King, Peter (January 24, 2009). "Shanahan will 'definitely' not coach Chiefs, or anyone else in 2009". Sports Illustrated. Archived from the original on January 29, 2009. Retrieved January 24, 2009. 1 2 3 Tucker, Doug (February 5, 2009). "Wooten says KC has interviewed minority candidates". USA Today. Retrieved February 6, 2009. 1 2 "Lions name Gunther Cunningham as assistant head coach/defensive coordinator". Detroit Lions. January 21, 2009. Archived from the original on March 2, 2009. Retrieved February 19, 2009. ↑ Associated Press (January 21, 2009). "Cunningham to run Lions' defense". ESPN.com. Archived from the original on January 23, 2009. Retrieved January 21, 2009. ↑ "Chiefs announce changes on coaching staff". Kansas City Chiefs. February 13, 2009. Archived from the original on March 19, 2009. Retrieved February 14, 2009. 1 2 3 4 5 "Kansas City Chiefs announce coaching staff moves". Kansas City Chiefs. February 17, 2009. Archived from the original on February 25, 2009. Retrieved February 17, 2009. 1 2 Pasquarelli, Len (March 13, 2009). "Ex-Cards coordinator gets Chiefs' job". ESPN.com. Archived from the original on March 15, 2009. Retrieved March 13, 2009. 1 2 3 4 "Kansas City Chiefs add Maurice Carthon to coaching staff". Kansas City Chiefs. February 19, 2009. Archived from the original on February 23, 2009. Retrieved February 19, 2009. 1 2 "Kansas City Chiefs add Ronnie Bradford, Nick Sirianni to staff". Kansas City Chiefs. March 3, 2009. Archived from the original on March 6, 2009. Retrieved March 3, 2009. ↑ "Chiefs announce changes and retentions in player personnel department". Kansas City Chiefs. May 1, 2009. Archived from the original on May 4, 2009. Retrieved May 1, 2009. 1 2 Clayton, John (August 31, 2009). "Gailey no longer running Chiefs offense". ESPN.com. Retrieved August 31, 2009. 1 2 3 Associated Press (December 28, 2008). "Chiefs' Johnson wants out after season-ending loss to Bengals". NFL.com. Archived from the original on December 31, 2008. Retrieved December 28, 2008. 1 2 Associated Press (March 27, 2009). "RB Johnson gets probation for assaults". ESPN.com. Archived from the original on March 29, 2009. Retrieved March 27, 2009. 1 2 3 Associated Press (June 21, 2009). "Players still getting used to Haley's fiery style of coaching". NFL.com. Archived from the original on June 22, 2009. Retrieved June 21, 2009. ↑ Associated Press (March 25, 2009). "Chiefs TE Gonzalez still interested in being traded, source says". NFL.com. Archived from the original on March 26, 2009. Retrieved March 25, 2009. 1 2 3 Associated Press (April 23, 2009). "Chiefs trade Gonzalez for 2010 draft pick". ESPN.com. Archived from the original on April 26, 2009. Retrieved April 23, 2009. ↑ Leahy, Sean (December 10, 2008). "Gonzalez: It's a 'disgrace' if Chiefs don't stick with Thigpen in '09". USA Today. Retrieved January 10, 2009. ↑ Rand, Jonathan (November 20, 2008). "Worth a look". Kansas City Chiefs. Archived from the original on January 10, 2009. Retrieved December 24, 2008. 1 2 "Chiefs announce four transactions". Kansas City Chiefs. February 24, 2009. Archived from the original on March 4, 2009. Retrieved February 24, 2009. ↑ Athan, Nick (December 28, 2008). "Questions abound as Chiefs fall to Bengals". Warpaint Illustrated (Scout.com). Archived from the original on January 1, 2009. Retrieved December 28, 2008. ↑ "Q&A with head coach Todd Haley". Kansas City Chiefs. March 2, 2009. Archived from the original on March 18, 2009. Retrieved March 2, 2009. ↑ "Chiefs terminate QB Quinn Gray". Kansas City Chiefs. March 11, 2009. Archived from the original on March 16, 2009. Retrieved March 11, 2009. 1 2 "Chiefs sign unrestricted free agent TE Sean Ryan". Kansas City Chiefs. April 21, 2009. Archived from the original on April 24, 2009. Retrieved April 21, 2009. ↑ Smith, Michael (2008-10-12). "Source: Chiefs willing to listen to offers for record-setting TE Gonzalez". ESPN. Archived from the original on October 20, 2008. Retrieved October 21, 2008. ↑ "Gonzalez tells teammates he's not bitter about failed trade request". ESPN. October 16, 2008. Archived from the original on October 18, 2008. Retrieved October 21, 2008. 1 2 "Chiefs announce roster moves". Kansas City Chiefs. September 5, 2009. Archived from the original on September 8, 2009. Retrieved September 5, 2009. 1 2 3 Associated Press (September 16, 2009). "Haley: Cassel (knee) a question mark". ESPN.com. Retrieved September 17, 2009. ↑ Associated Press (September 29, 2009). "Dolphins get some insurance at QB". ESPN.com. Archived from the original on October 2, 2009. Retrieved September 29, 2009. ↑ Williamson, Bill (March 13, 2009). "AFC West Blog – Around AFC West – March 13, 2009". ESPN.com. Retrieved March 14, 2009. ↑ Williamson, Bill (March 13, 2009). "AFC West Blog – Who is making the grade in the AFC West? – March 13, 2009". ESPN.com. Archived from the original on March 15, 2009. Retrieved March 14, 2009. 1 2 "Kansas City agrees to terms with S Jon McGraw, LB Darrell Robertson". Kansas City Chiefs. March 6, 2009. Archived from the original on March 15, 2009. Retrieved March 7, 2009. ↑ "Chiefs agree to terms with WR C. J. Jones". Kansas City Chiefs. March 5, 2009. Archived from the original on March 15, 2009. Retrieved March 7, 2009. ↑ "Kansas City agrees to terms with CB Travis Daniels". Kansas City Chiefs. March 10, 2009. Archived from the original on March 15, 2009. Retrieved March 11, 2009. ↑ "Chiefs agree to terms with LB Corey Mays". Kansas City Chiefs. March 13, 2009. Archived from the original on March 16, 2009. Retrieved March 13, 2009. 1 2 3 "Kansas City agrees to terms with three players". Kansas City Chiefs. March 17, 2009. Archived from the original on March 22, 2009. Retrieved March 17, 2009. ↑ NFL.com Staff (March 25, 2009). "Chiefs agree to terms with veteran OL Goff". NFL.com. Archived from the original on March 28, 2009. Retrieved March 26, 2009. 1 2 "Chiefs sign WR Rodney Wright, LS Tanner Purdum". Kansas City Chiefs. April 7, 2009. Archived from the original on May 1, 2009. Retrieved April 20, 2009. 1 2 "Chiefs sign FA TE Tony Curtis, C Rudy Niswanger signs RFA tender". Kansas City Chiefs. April 24, 2009. Archived from the original on May 10, 2009. Retrieved April 24, 2009. ↑ "Kansas City signs UFA C Eric Ghiaciuc". Kansas City Chiefs. April 30, 2009. Archived from the original on May 4, 2009. Retrieved May 1, 2009. ↑ "Chiefs sign UFA S Mike Brown". Kansas City Chiefs. June 25, 2009. Archived from the original on June 28, 2009. Retrieved June 25, 2009. ↑ Clayton, John (August 4, 2009). "Source: Toomer to join Chiefs". ESPN.com. Retrieved August 4, 2009. ↑ Associated Press (November 3, 2009). "Chiefs claim Chambers". ESPN.com. Archived from the original on November 7, 2009. Retrieved November 3, 2009. ↑ "Kansas City Chiefs acquire LB Mike Vrabel from Patriots". ESPN.com. February 27, 2009. Archived from the original on February 28, 2009. Retrieved February 27, 2009. 1 2 "Chiefs acquire QB Matt Cassel, LB Mike Vrabel in trade with Patriots". Kansas City Chiefs. February 28, 2009. Archived from the original on July 22, 2009. Retrieved February 28, 2009. ↑ Reiss, Mike (February 28, 2009). "Mike Vrabel analysis". Boston Globe. Archived from the original on March 2, 2009. Retrieved February 28, 2009. 1 2 King, Peter (February 28, 2009). "Chiefs complete trade for Cassel". Sports Illustrated. Archived from the original on March 4, 2009. Retrieved February 28, 2009. ↑ Associated Press (March 2, 2009). "Chiefs keep quiet after landing Cassel, Vrabel in steal of a deal with Pats". NFL.com. Archived from the original on March 6, 2009. Retrieved March 7, 2009. ↑ Banks, Don (February 28, 2009). "Patriots could have asked for more". Sports Illustrated. Archived from the original on March 4, 2009. Retrieved March 1, 2009. ↑ The Huddle (March 1, 2009). "Were the Patriots robbed by the Chiefs? Reaction is split". USA Today. Retrieved March 1, 2009. ↑ Reiss, Mike (February 28, 2009). "Matt Cassel analysis". Boston Globe. Archived from the original on February 28, 2009. Retrieved February 28, 2009. ↑ Associated Press (July 15, 2009). "Chiefs sign Cassel to long-term deal". Sports Illustrated. Archived from the original on July 17, 2009. Retrieved July 15, 2009. ↑ "Chiefs QB Matt Cassel signs contract extension". Kansas City Chiefs. July 14, 2009. Archived from the original on July 17, 2009. Retrieved July 16, 2009. 1 2 3 "Chiefs tender three restricted free agents". Kansas City Chiefs. February 26, 2009. Archived from the original on March 2, 2009. Retrieved February 27, 2009. ↑ "Chiefs WR Jeff Webb signs restricted free agent tender". Kansas City Chiefs. April 20, 2009. Archived from the original on April 23, 2009. Retrieved April 21, 2009. ↑ "Full round-by-round order for 2009 NFL Draft". NFL.com. March 26, 2009. Archived from the original on March 23, 2009. Retrieved March 26, 2009. ↑ "Bengals, Titans awarded maximum four compensatory draft picks". NFL.com. March 23, 2009. Archived from the original on March 27, 2009. Retrieved March 24, 2009. ↑ "Chiefs sign top pick Jackson". ESPN.com. August 7, 2009. Retrieved August 7, 2009. ↑ "Chiefs select DE Tyson Jackson with third pick". Kansas City Chiefs. April 25, 2009. Archived from the original on April 29, 2009. Retrieved April 25, 2009. ↑ "Chiefs sign first round pick DE Tyson Jackson". Kansas City Chiefs. August 7, 2009. Archived from the original on August 10, 2009. Retrieved August 7, 2009. ↑ "Chiefs select DT Alex Magee in third round". Kansas City Chiefs. April 26, 2009. Archived from the original on April 29, 2009. Retrieved April 26, 2009. 1 2 3 "Chiefs sign three more draft picks". Kansas City Chiefs. July 30, 2009. Archived from the original on August 2, 2009. Retrieved August 4, 2009. ↑ "Chiefs select CB Donald Washington in fourth round". Kansas City Chiefs. April 26, 2009. Archived from the original on April 29, 2009. Retrieved April 26, 2009. ↑ "Chiefs select OT Colin Brown in fifth round". Kansas City Chiefs. April 26, 2009. Archived from the original on May 2, 2009. Retrieved April 26, 2009. ↑ "Chiefs sign fifth round pick T Colin Brown". Kansas City Chiefs. June 30, 2009. Archived from the original on July 3, 2009. Retrieved August 4, 2009. ↑ "Chiefs select WR Quinten Lawrence in sixth round". Kansas City Chiefs. April 26, 2009. Archived from the original on May 2, 2009. Retrieved April 26, 2009. ↑ "Chiefs select RB Javarris Williams in seventh round". Kansas City Chiefs. April 26, 2009. Archived from the original on May 2, 2009. Retrieved April 26, 2009. ↑ "Chiefs sign seventh-round pick RB Javarris Williams". Kansas City Chiefs. July 23, 2009. Archived from the original on July 26, 2009. Retrieved July 25, 2009. ↑ "Chiefs select TE Jake O'Connell in seventh round". Kansas City Chiefs. April 26, 2009. Archived from the original on May 2, 2009. Retrieved April 26, 2009. ↑ "Chiefs sign seventh round pick TE Jake O'Connell". Kansas City Chiefs. June 26, 2009. Archived from the original on June 28, 2009. Retrieved August 4, 2009. ↑ "Chiefs select K Ryan Succop in seventh round". Kansas City Chiefs. April 26, 2009. Archived from the original on April 30, 2009. Retrieved April 26, 2009. ↑ "Chiefs sign seventh round pick K Ryan Succop". June 23, 2009. Archived from the original on June 28, 2009. Retrieved August 7, 2009. 1 2 Moris, Pete (August 21, 2009). "Au Revoir, River Falls". Kansas City Chiefs. Archived from the original on August 26, 2009. Retrieved September 6, 2009. ↑ "Chiefs preseason opponents set for 2009". Kansas City Chiefs. March 30, 2009. Archived from the original on April 2, 2009. Retrieved March 30, 2009. ↑ Leahy, Sean (August 30, 2009). "Yahoo: Matt Cassel has MCL sprain, could miss Week 1". USA Today. Retrieved September 6, 2009. ↑ Associated Press (August 29, 2009). "Cassel leaves game with injured leg". New York Times. Retrieved September 6, 2009. ↑ Associated Press (September 13, 2009). "Kansas City 24, Baltimore 38". ESPN.com. Retrieved September 17, 2009. ↑ Associated Press (September 16, 2009). "Cassel picks up pace in practice". ESPN.com. Retrieved September 17, 2009. ↑ Associated Press (October 28, 2009). "Johnson suspended until November 9". ESPN.com. Archived from the original on November 1, 2009. Retrieved October 28, 2009. ↑ The Steelers were favored by 11.5 points on Yahoo's combined line odds (which is removed from online view when the game begins), the widest margin for Week 11 in the NFL. Wikimedia Commons has media related to 2009 Kansas City Chiefs season.